LX Studio is a digital lighting workstation, bringing concepts from digital audio workstations and modular synthesis into the realm of LED lighting control. 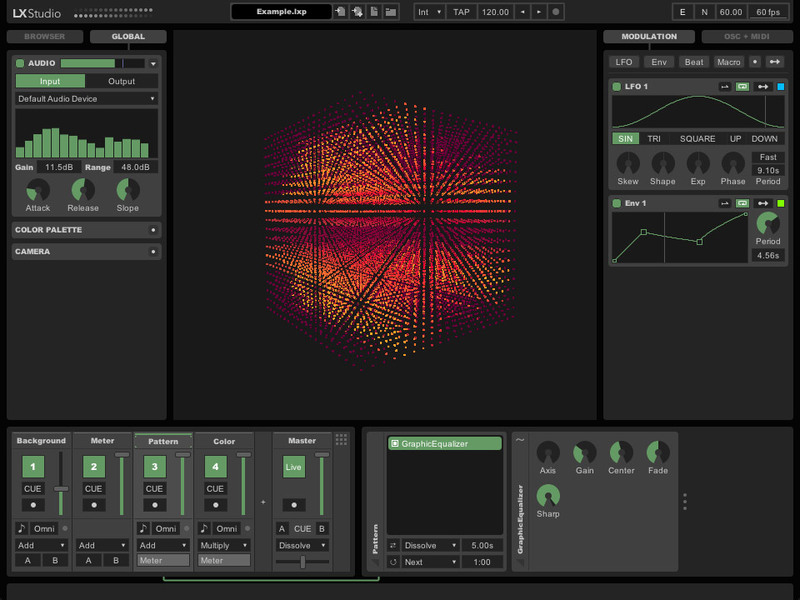 Generative patterns, interactive inputs, and flexible parameter-driven modulation — a rich environment for lighting composition and performance. 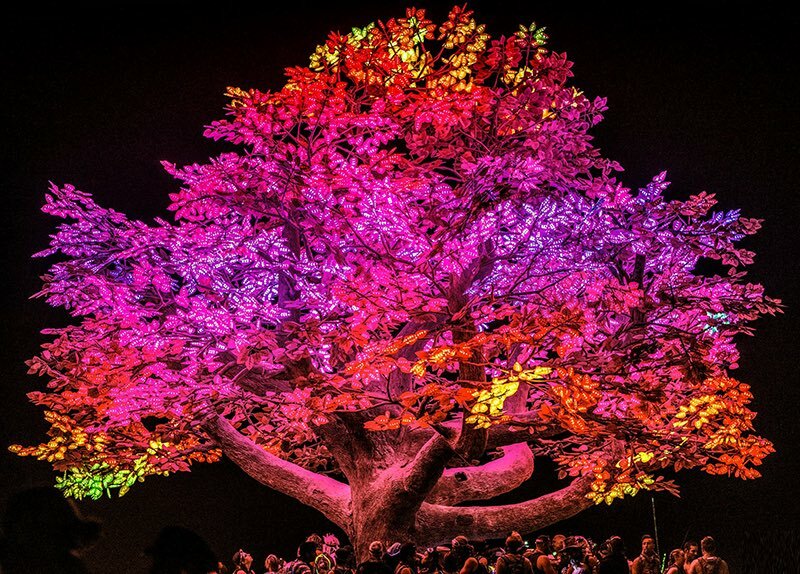 LX Studio was the animation and interaction framework used for the Tree of Ténéré, a large-scale artwork conceived by Zachary Smith which debuted at Burning Man 2017. 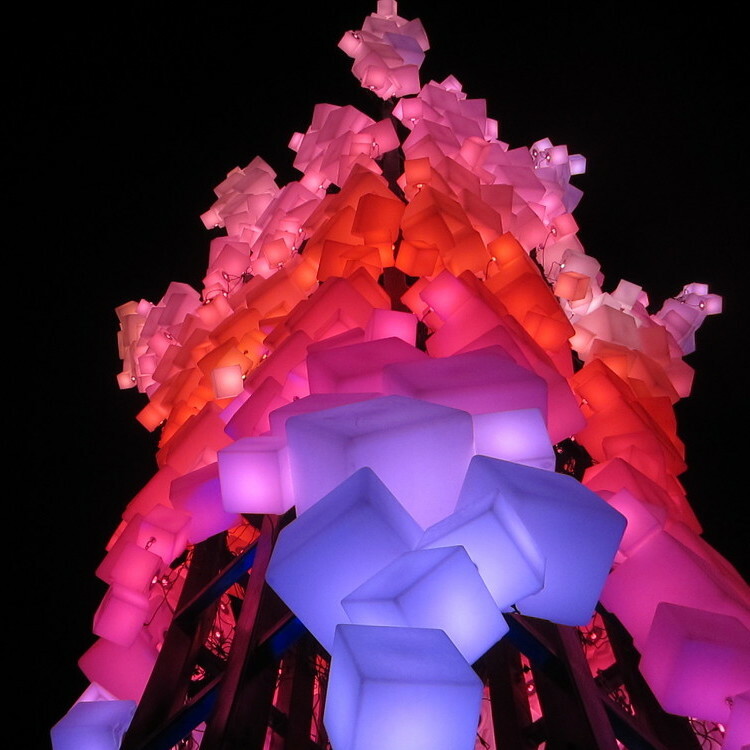 The piece featured over 100,000 distinct addressable LEDs spread across a canopy of leaves. Mark C. Slee, creator of LX Studio, was a co-lead artist on the project responsible for animation software and content. 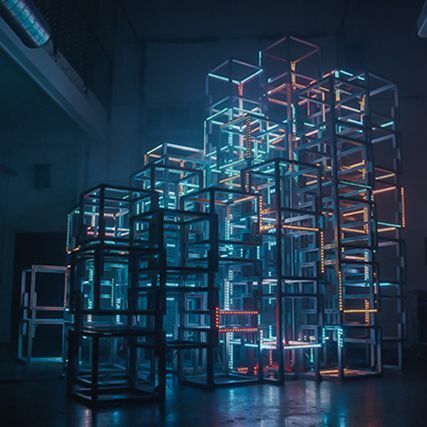 The LX engine has been deployed in a variety of contexts — from interiors to night clubs to large-scale installations. Flexible design means the system can adapt to a wide range of artworks. Interoperability with a wide variety of common standards and protocols (MIDI, OSC, ArtNet, OPC, E1.31, KiNET, DDP) makes LX a versatile tool suitable for use with many lighting fixtures and control systems. The LX Studio Software License grants permission to use the LX software freely in non-commercial applications. Commercial use is subject to a total annual revenue limit of $25K on any and all projects associated with the software. For organizations or projects which exceed this limit, simple proprietary licensing is available. Questions about licensing? Simply contact: mark@heronarts.com. Source code is provided for the LX core library as well as the P3LX UI library. The core engine is standalone Java, easily run headless on platforms like Raspberry Pi or Android. The UI layer runs in the open source Processing environment, making it easy to integrate with other creative coding libraries. Though the LX libraries are not strictly open source due to commercial use restrictions, collaboration and contribution are welcome.